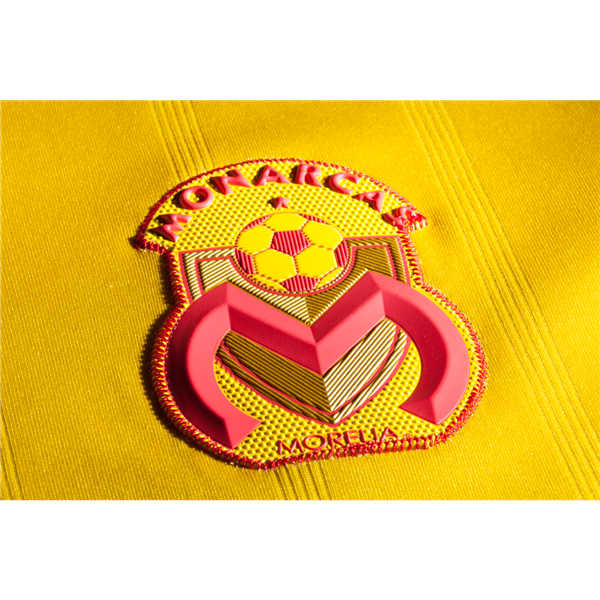 Founded in 1924, Morelia is a member of Mexico Liga MX. 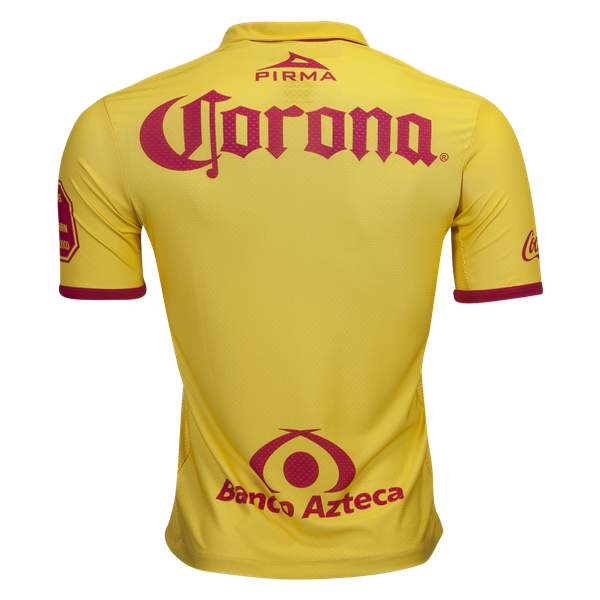 Pirma home jersey features sewn on team, Liga MX and brand logos. A faint red sash runs diagonally across the chest. Button collar. Mesh back panel and mesh inserts on the sides for added ventilation. Polyester.